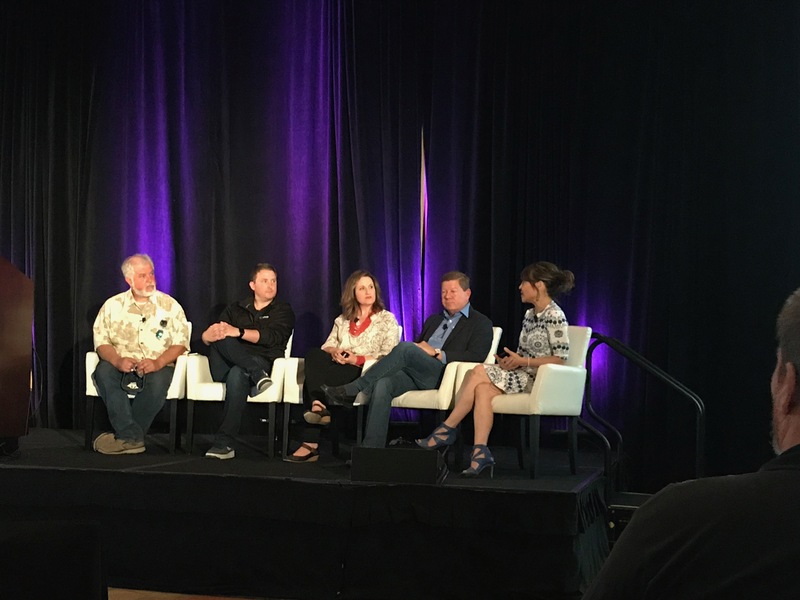 The Augmented World Expo 2018 in Santa Clara this month showed just how exciting, vibrant and capable Augmented Reality has become - and we were proud to be a part of it. From the virtual reality point cloud used in AWE CEO co-founder Ori Inbar's keynote (which projected a "virtual Ori" onto the stage while the real Ori was speaking) to cool AR hardware announcements (such as Atheer partner RealWear's announcement of the HMT-1Z1 'intrinsically safe' wearable computer (ATEX Zone 1 and Class 1 Division 1), there was a lot to see. For us at Atheer, it was also a fantastic time to work with both our customers and partners. 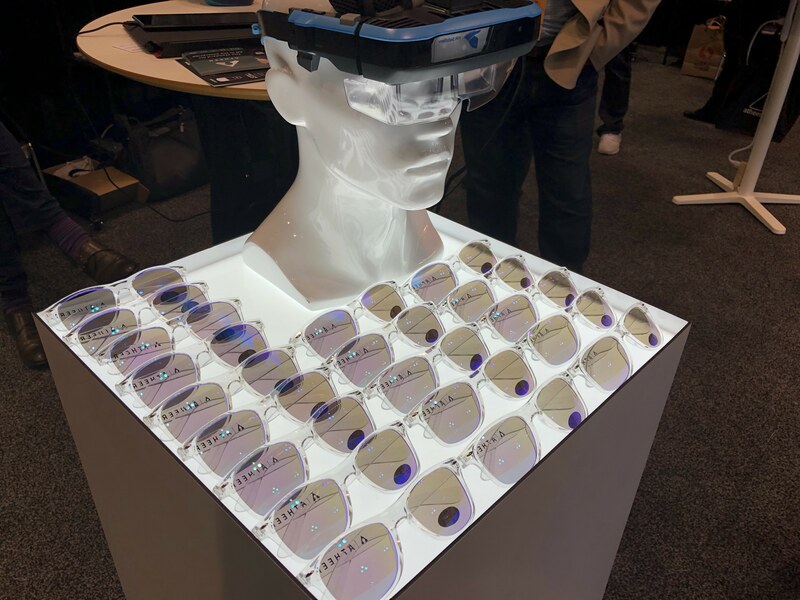 During the first set-up day for the show, our customer Porsche Cars North America (PCNA) announced that it was starting to roll out its AR-based, Atheer-powered “Tech Live Look” to its 189 dealers in the United States. Porsche explained that the system connects dealership technicians to remote experts via smartglasses for a live interaction that can shorten service resolution times by up to 40 percent. The news sparked interest from a number of media outlets, including USA Today, Forbes, Car and Driver and Autoweek. You can read more details about that announcement here. 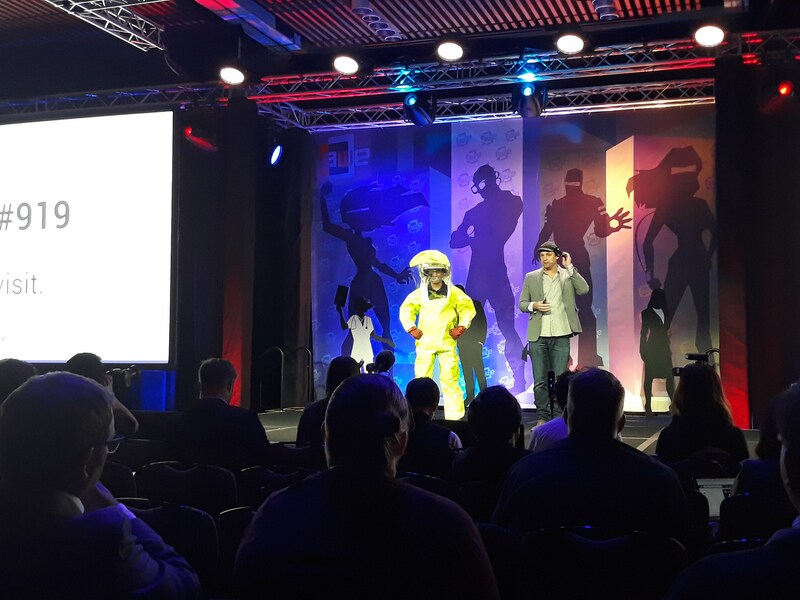 Meanwhile, back at AWE 2018, we started hearing about the WiFi available to visitors of the show. "What's the password?," they would ask. "Atheer," came the answer. And that answer led lots of AWE visitors to check out our booth in the main exhibition hall. Interactions with customers, potential customers, partners and industry colleagues at the booth also delivered a lot of insights to us. Not only did we hear customers affirm that they wanted solutions that were "device agnostic" (ie. not only able to run on HoloLens, Android, iOS and Windows 10, but also they wanted an AR platform capable of supporting a variety of 'form factors' including smartphones, tablets, smartglasses and laptop computers. 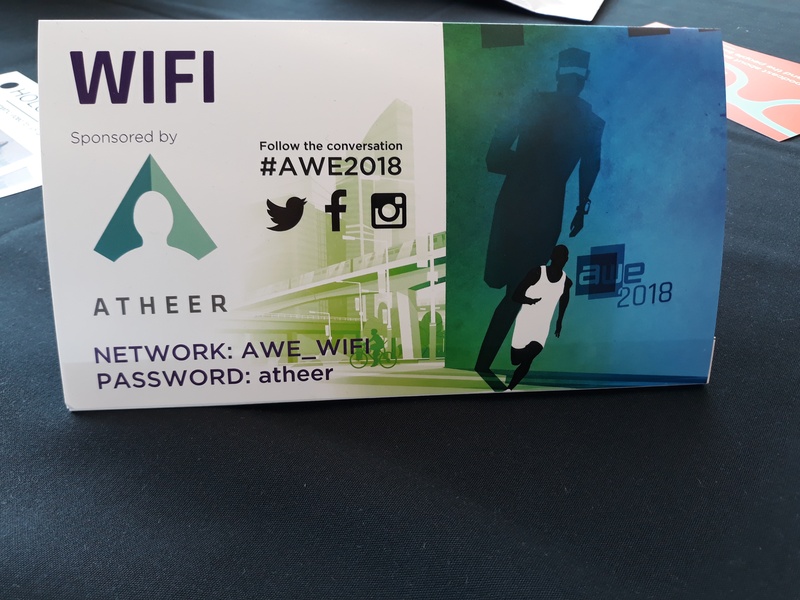 In fact, the type of glasses that seemed to be the most popular at AWE 2018 were Atheer's own promotional sunglasses - which seemed to fly off the booth! 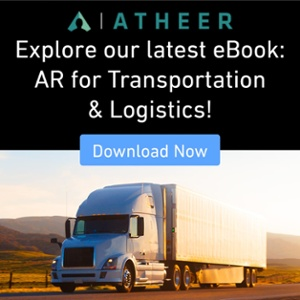 Many visitors enjoyed the glasses after getting a demonstration of the latest version of the Atheer AR platform, also announced during AWE 2018. 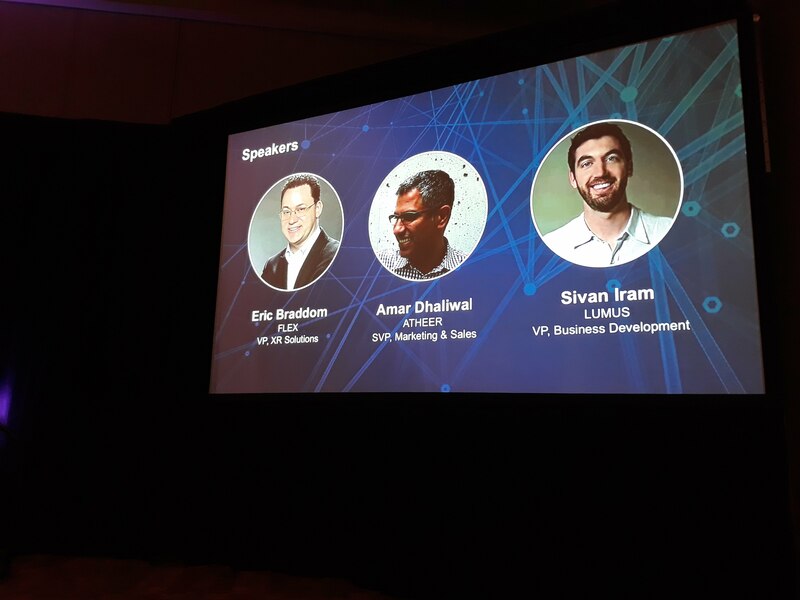 We were also delighted to present at AWE, first with our own senior vice-president of sales and marketing Amar Dhaliwal as part of a panel hosted by our partner Flex Ltd. to discuss how enterprise customers are using Augmented Reality. That panel was immediately followed by another session, moderated by Rika Nakazawa, vice-president of strategy and partnerships at Atheer, which explored how augmented reality is re-inventing remote collaboration. Finally, our founder - Soulaiman Itani - took to the AWE main stage on the final day of the conference to explore how Augmented Reality can finally help realize the dream of true contextual, predictive guidance (and the importance difference between guidance and training). We look forward to meeting more of our customers and potential customers at our next major event - the VR/AR Global Summit in Vancouver, B.C. on Sept. 21 and 22, 2018. See you there!